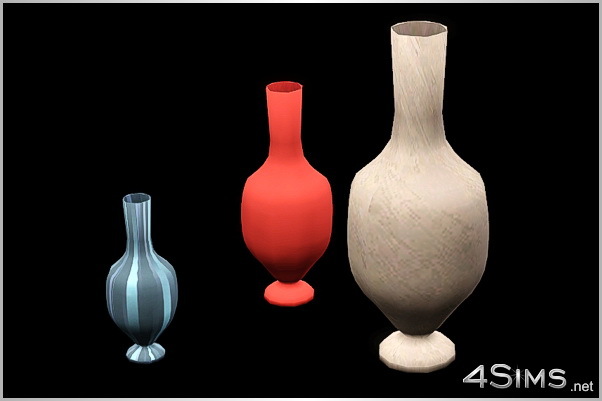 Vases decor set in random styles in 3 sizes to fit your design needs. 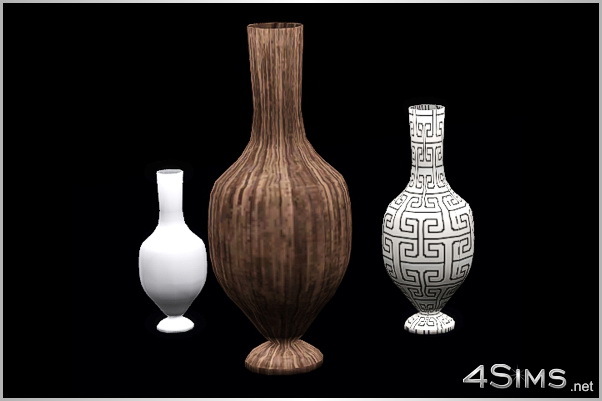 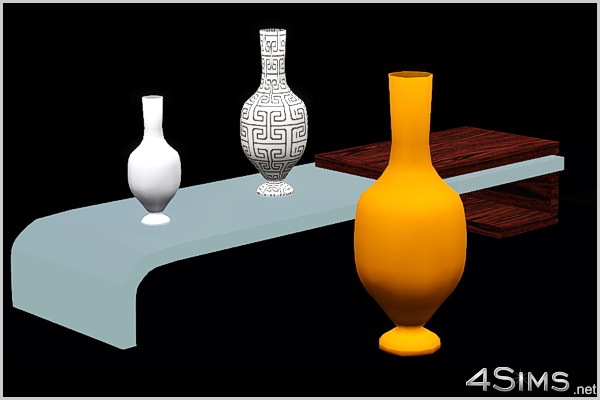 You can easily change the look with your own patterns (good UV map), placebles to any surface, 4 styles included for every vase. 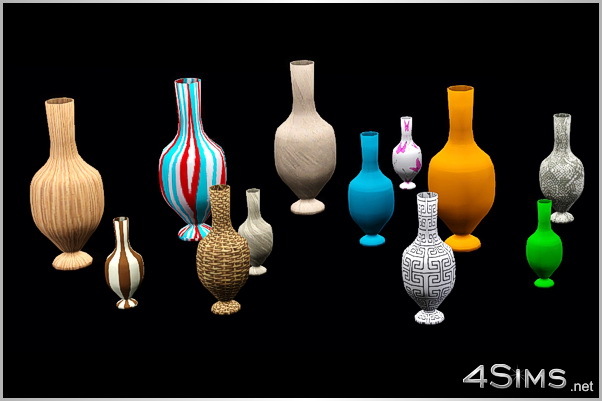 Supernatural required..(I know… and I hope that the next vases collection will be base game compatible…) Meshes made by me with help of Milkshape, KHED, TSR Workshop and co….